So how was everyone's Thanksgiving? Good? Great! Mine too! It was truly wonderful. I love Thanksgiving. I love the time with family, I love setting aside a day to be thankful for what we have, and... to be completely honest... I freaking love food. Especially thanksgiving style food. I am a casserole kind of girl. Vegetables, good. But vegetables mixed in with cream of anything soup, cheese and crackers.... BETTER! I did an absolutely dismal job of taking pictures this weekend. And the few real ones I took are stuck on my memory card in my camera which is sitting on my parents mantle up high so the kids can't reach it... and hour away from here... exactly where I put it to keep it safe on Sunday. Well, this one is a little Thanksgiving-ish! 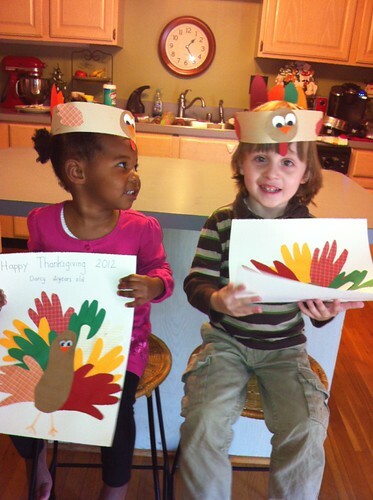 The day before Thanksgiving Aunt Boo kept Henry and they made these little craft projects. How adorable are these two?? And this is from Thanksgiving night at Grandaddy's house. 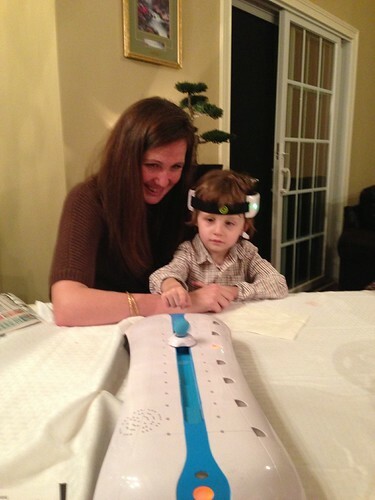 Uncle Chris brought a mind battling game, which Henry LOVED. We are raising him right. Into a complete nerd. A powerful mind control nerd! Well... 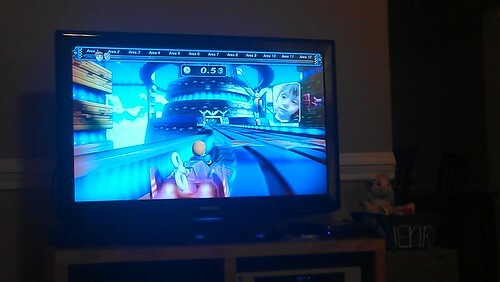 I hadn't realized exactly how nerdy all these pictures are until I lined them up together. But... what can you do? WE ARE WHO WE ARE! We took Henry to see Wreck it Ralph this weekend (SO GOOD!) and while we were there we snapped this picture of Henry at Bilbo's door. 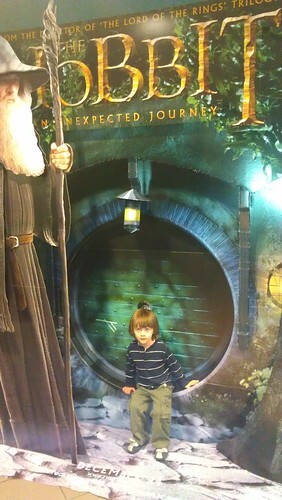 because who doen't want a picture of themself as a kid at a Hobbit door? As a side note, do you all know how many people go to the movies on Thanksgiving weekend? Apparently the ENTIRE CITY GOES. I have never seen it so packed in my life. And I go opening night to things like Harry Potter and Twilight. I have seen a movie crowd.